I finally lifted my head off a book!! lol as some of you may know.. I went back to school in late November after 15yrs away!!! it has been challenging to say the least, studying in your late 30’s is no joke friends! but it’s never too late to fulfill your dreams right? Unfortunately this has been kicking my booty a lot more than expected and I totally goofed with my blog. 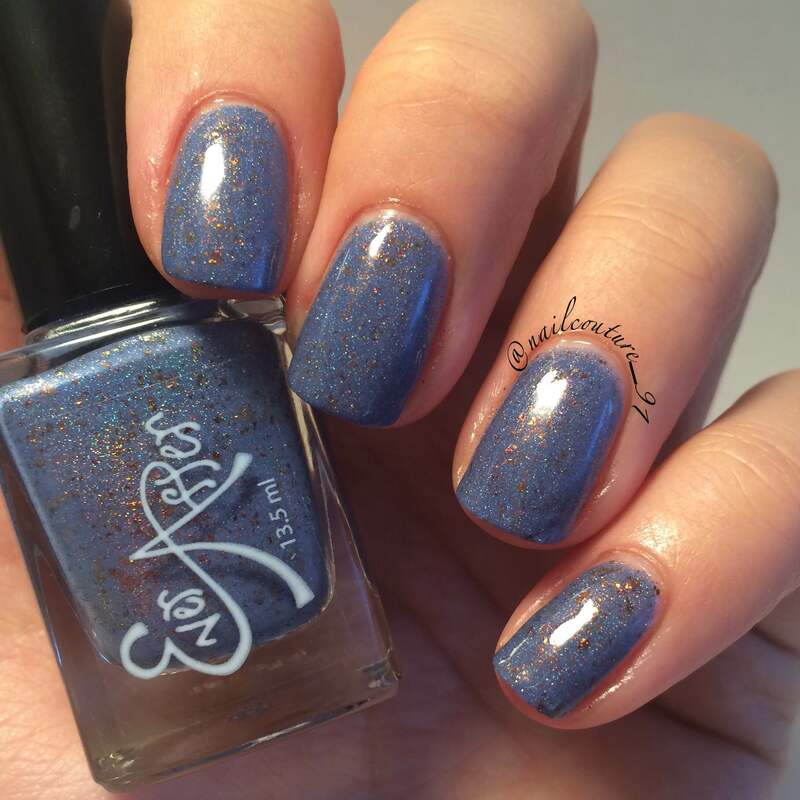 I have been away way more than I hoped and have done things like totally not seeing this wonderful guest post by the lovely Jessalyn of Nailcouture_91. How could I have done that?! I am kicking myself in the booty for it believe me. But ALAS!! I took a tiny (procrastination induced) break and was able to find this lovely post in the black hole that my email has become…. so, without further ado I give you, flawless cuticles and gorgeous swatches by @nailcouture_91. Jessalyn.. please take my deepest most sincere apologies . Hi everyone! First I’d like to introduce myself…My name is Jessalyn and I am the nails behind @nailcouture_91 on Instagram! I am also a stay at home mom to a handsome one and a half year old. Ever since I was a little girl I have enjoyed doing my nails. When I was in high school and college I found that I really enjoyed writing. 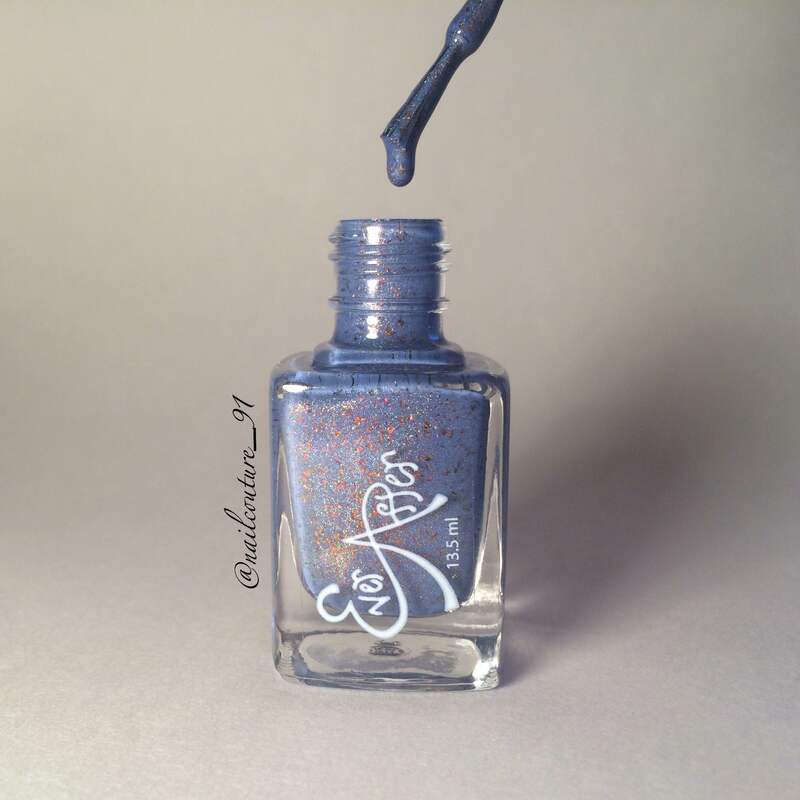 With my love for nail polish and then my discovery of the indie world a little over a year ago the idea for a blog was born! When I saw Monica was featuring guest bloggers I jumped on the chance! So here I am and have the honor and great joy to share my passion with you all! 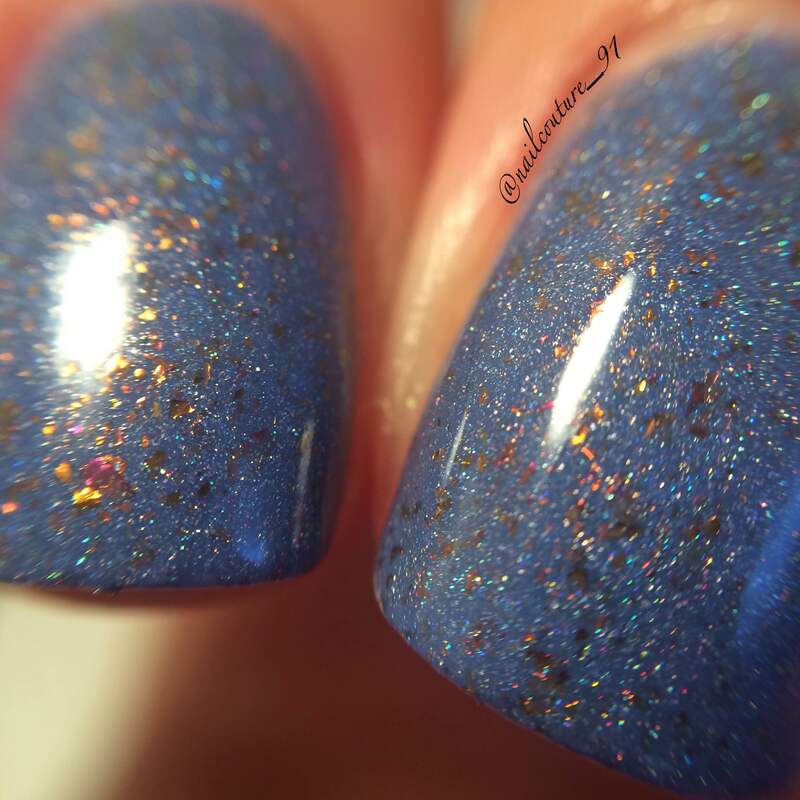 So I wanted to share one of my favorite polishes with you guys today…I discovered this through the Sisterhood of the Traveling Indie Polish on Facebook…This was one of the first polishes that our group passed around and I LOVED it! Oh my word…this drip shot…I just can’t handle it! 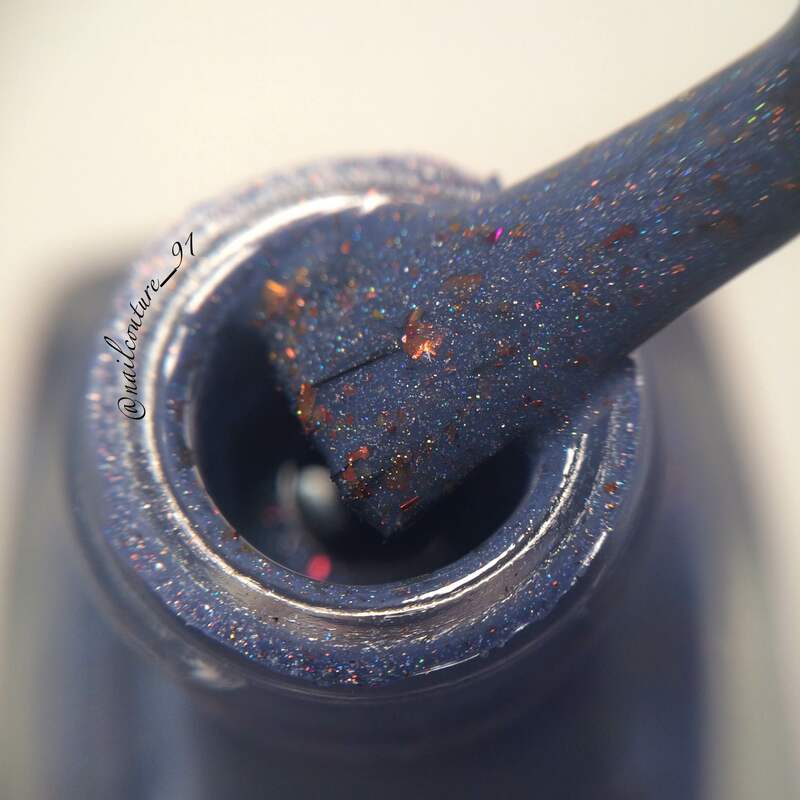 This polish is literally SO GORGEOUS! As I was looking at this color I kept going back and forth on the color…is it a corn flower blue? But then its more purple than blue…is it periwinkle? 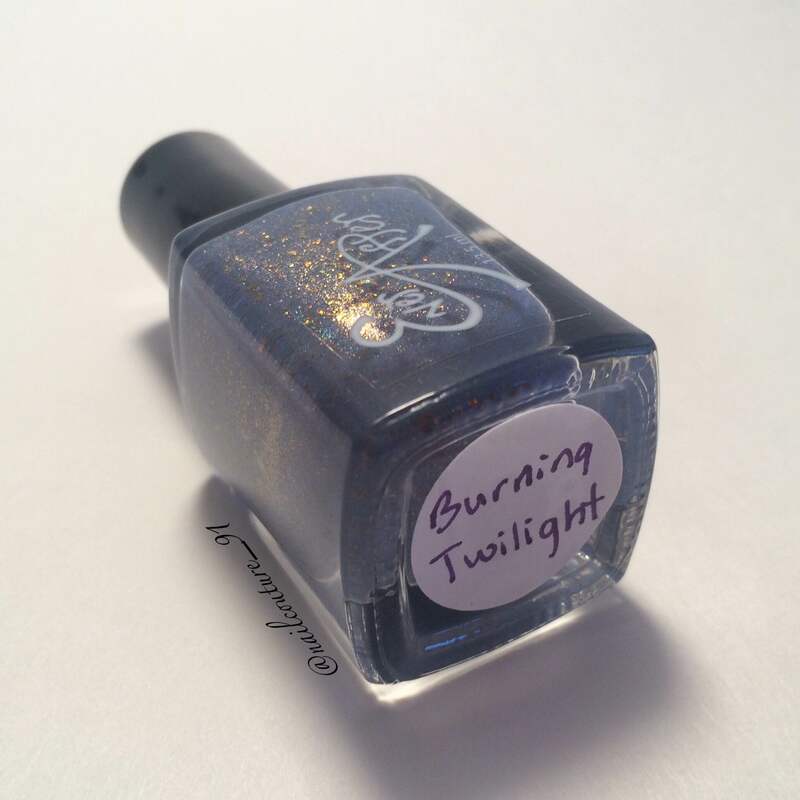 But then it’s not purple enough to be truly periwinkle…so I settled on dusty periwinkle! It is also FULL of copper and pink flakes! 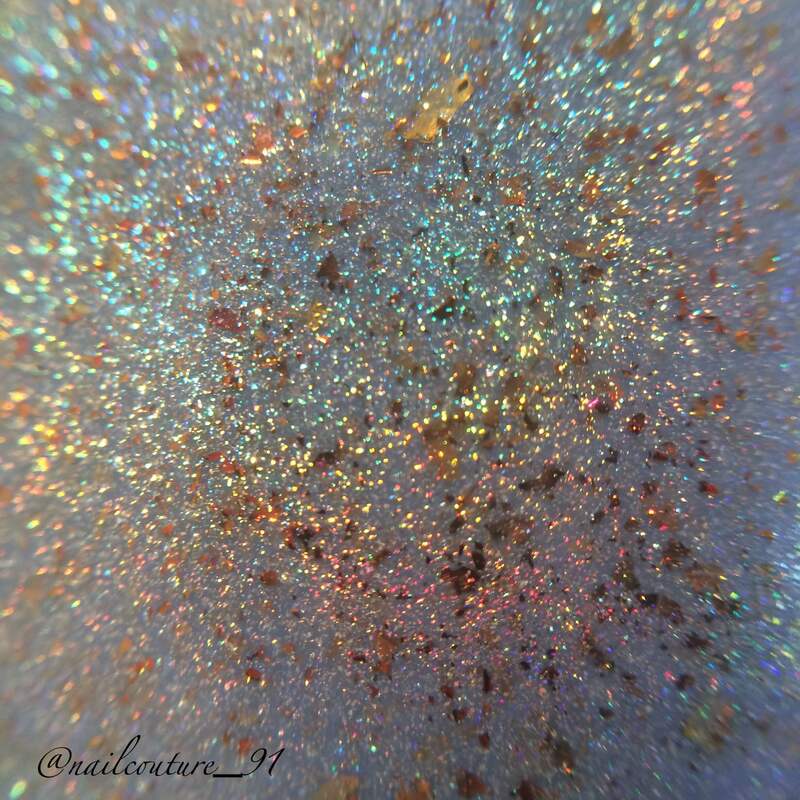 Then to top it all off it has scattered holo! 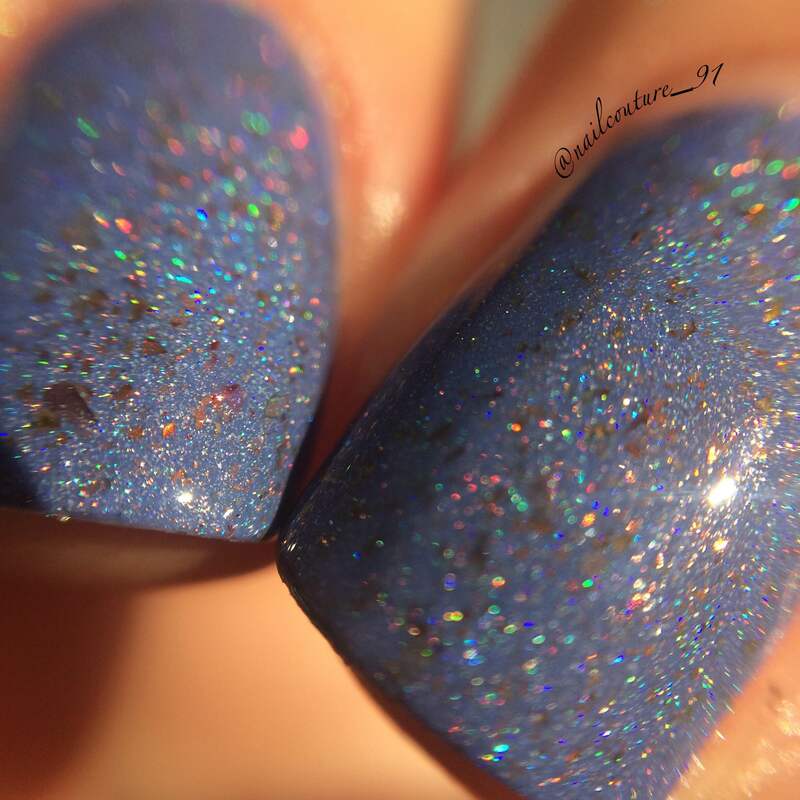 This polish has EVERYTHING! The holo in the sunlight freaked my camera out! If I haven’t said it already I LOVE THIS POLISH! Pictured is two coats and top coat. It applied like a dream and removal was just as easy! The flakes spread perfectly and there weren’t any bald spots. There was no obvious staining and clean up was fairly easy. 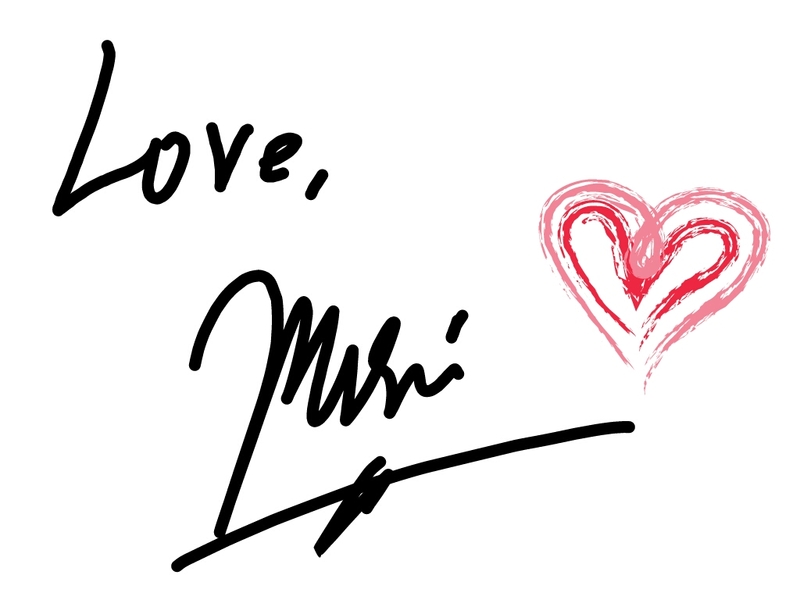 I also just want to take a moment and say thank you to Monica for allowing me to be a guest blogger! I hope everyone enjoyed it! WOW!!! 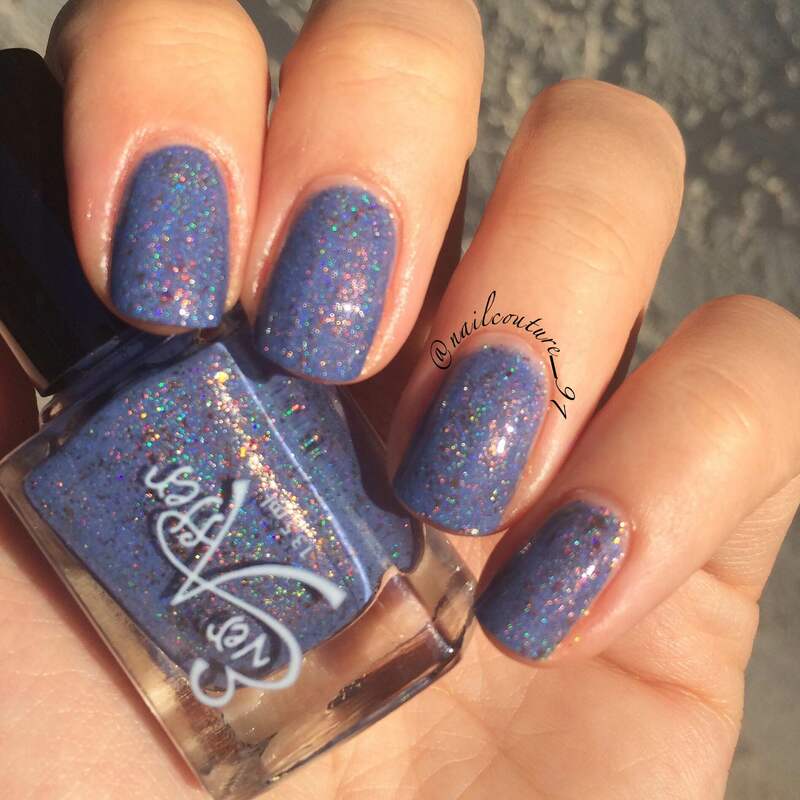 Jessalyn you have gorgeous nails and your swatches are beautiful!! Thank you so much for guest posting for me and again, so sorry for the delay!